By accessing and using the site www.clermontauvergnetourism.com the user accepts the following terms and conditions, without limitation. The publishing director is Vincent Garnier – Managing Director. The information, pictographs, photographs, images, texts, video sequences, animations with or without sound, and other documents present on this website are the property of Clermont Auvergne Tourisme or third parties having authorised their use. This content is protected by French and international legislation on copyright and intellectual property. In addition, the brands of Clermont Auvergne Tourisme and its partners, as well as the logos cited and reproduced on this Site are registered trademarks. As such, it is prohibited to reproduce, represent, adapt, modify (partially or in full) or transfer this content to another site. Failure to respect these conditions may be grounds for prosecution. Clermont Auvergne Tourisme cannot be held liable for users accessing hyperlinks on the Site that lead to other resources present on the network. We’d also like to thank the numerous other tourist sites, service providers and agencies who have provided us with visuals. Databases are protected by the Law of 1 July 1998 and the French copyright system. Any use or extraction of elements from the site without the permission of Clermont Auvergne Tourisme is illegal and punishable as copyright infringement. “Online booking”, supplied by the “Open System” tool of Alliance Réseaux is a marketplace aiming to bring together professionals offering various services and products (accommodation, restaurants, sporting and cultural activities) and their customers. As of now, this tool is only used for booking accommodation. Clermont Auvergne Tourisme does not act as a sales agency. Its role is limited to hosting online postings (texts, photos, etc.) by the professionals either directly or via departmental bookings centres, as well as the requests of their clients. • Is not involved in the transactions between the buyer and the seller. • Cannot ensure that sellers and buyers will conclude and execute the transaction. • Provides no guarantee regarding online postings, in particular regarding availability of the sellers, the accuracy of their advertisements, the quality of the products or the services offered. • Provides no guarantee for buyers, including with respect to their ability to pay for the goods or services that they book. Since Clermont Auvergne Tourisme is not involved in the transactions between buyers and sellers, it may not be held liable in case of dispute or for any damages, present or future. All statements, offers of services or products marketed via the Open System tool fall under the sole responsibility of the author. Links to this site are allowed if they do not harm its image. However, displaying pages or information from this site in one or several frames belonging to another site is prohibited, as well as any other technique or practice likely to confuse users as to the origin of the information. No personal information is collected without your knowledge. No personal information is transferred to third parties. To better understand the interests of our visitors and improve the website accordingly, we measure the number of visits, page views, return visits and visitor activity on the site. To this effect, cookies may be used. The tool used for this data is Google Analytics, a web analysis service provided by Google Inc. (“Google”). The data generated by the cookies relating to your use of the website (including your IP address) is transmitted to and stored by Google on servers in the United States. Google uses this information to evaluate your activity on the website, to compile reports on website use for the site publisher and to provide other services relating to website activity and internet use. Google may communicate this data to third parties if legally required to do so, or in the case of third parties processing data on behalf of Google, including the publisher of this site. Google will not associate your IP address with any other data held by Google. You can disable or delete these cookies without affecting your access to the pages of the website. To disable cookies or to be notified before accepting them, visit the help section of your Internet browser and follow the steps provided. However, disabling cookies might prevent you from using some of the features of this site. By using this website, you give your explicit consent to the processing of your data by Google in the manner and for the purposes described above. – or by post: CLERMONT AUVERGNE TOURISME – Maison du Tourisme – Place de la victoire – 63000 CLERMONT-FERRAND, FRANCE. Be sure to include your name and contact information. The change will take place within a reasonable period of time from the date of receipt of your request. For information on the protection of personal data, you can consult the website of the French Commission on Informatics and Liberty (www.cnil.fr). This site and the information it contains are presented to you without any warranty of any kind. By using this website, you consent to do so at your own risk. Clermont Auvergne Tourisme cannot be held liable for the information, comments and opinions on linked sites of which it has no control of the content. Clermont Auvergne Tourisme cannot be held liable for damages of any kind resulting from the use of this website, including as a result of inaccuracies, errors or omissions on the site. 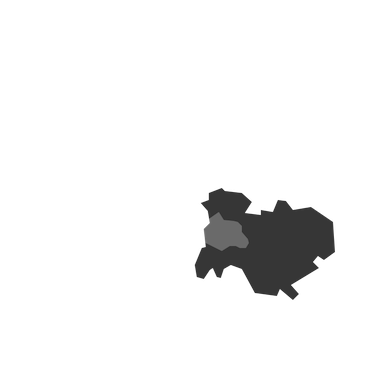 All the offers presented on this site are non-binding and do not constitute an exhaustive list of accommodation, tourist sites and activities of the territory under the authority of Clermont Auvergne Tourisme. Prices are given for informational purposes and do not imply any liability on behalf of Clermont Auvergne Tourisme. The partners of Clermont Auvergne Tourisme are solely liable for their offers. The pages linked to on this site (hyperlinks) can lead to sites over which the Publication Director has no control, and therefore cannot guarantee the quality of the content or the proper functioning of said sites. Please report any malfunctions or abusive content.